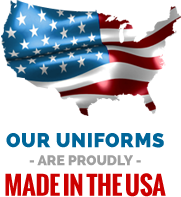 Our staff has over 50 years of experience in the cheer industry and we are proud to remain a family owned and operated business with Made in the USA uniforms. Our family continues the company traditions of quality, value, and service with on trend and on time cheer and dance uniforms and accessories. Let us assist you in choosing your uniforms and finding the right package for your budget. Order Bow-to-Toe® with one sales team and one company. Our made to order uniforms are NOT "off the shelf" or "made in China"! You tell us your skirt length and top length and we customize it for you down to the last stripe on most styles at no extra charge! CC Fusion Sublimated uniforms now available for even more design customization! We offer a generous side seam allowance on most garments to allow for easy alterations if needed to get a more custom fit. Most styles available in youth and adult, with length options available on manufactured shells and skirts at no additional charge. We print each member's name in the garment tag of all custom manufactured shells, skirts, dance tops, Spirit Flex half tops, and polyester warm-ups to make distribution quick and efficient. 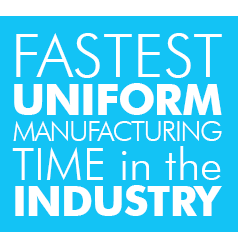 Our uniform manufacturing time is the fastest in the industry with a 2-4 week average most of the year. Click here to see our current manufacturing time! We stock thousands of items ready for immediate shipment in our centrally located 40,000 square foot warehouse. We carry Nfinity, Soffe, Asics, Kaepa, and much more! We service large and small groups including elementary, middle and high school teams, recreation leagues, all-star teams, international teams, sports associations, and college teams. Let us serve your team this year! 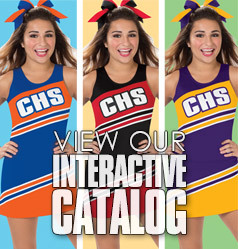 Cheerleading.com and CC Dancewear have a long history in the spirit business. Our owners and many of our past and present employees were part of the original Cheerleader Supply Company family founded by Lawrence "Herkie" Herkimer. We truly are #spiritdefined! Want to learn more about Cheerleading Company? Watch our video HERE. Click here to see what our customers have to say about us! Call one of our experienced sales representatives NOW at 800.411.4105 for sizing and ordering assistance. We make ordering fast and easy!